Microsoft is to offer "clearer options" for users upgrading - or not - to Windows 10. 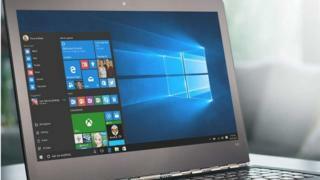 The move comes following months of criticism that Windows 10 was being forced upon users using what has been described as a "nasty trick". This week, a Seattle woman successfully sued the company for $10,000 over disruption caused by the software installing without, she said, permission. In recent months, in an apparent bid to accelerate adoption of Windows 10, Microsoft altered the way it asked users if they wanted to upgrade. It gave the Windows 10 update "recommended" status, normally reserved for critical security updates. If when prompted to update to Windows 10 users clicked the red "X", the upgrade would not immediately start. However, the update process would automatically be scheduled for a later time. "The new experience has clearer options to upgrade now, choose a time, or decline the free offer," said Terry Myerson, executive vice president, Windows and Devices Group, in an emailed statement. "If the red-x is selected on this new dialog, it will dismiss the dialog box and we will notify the device again in a few days. "We continue to recommend all of our customers upgrade to Windows 10 before the free upgrade offer expires on July 29." Microsoft is resolute in promoting Windows 10 as a better computing experience with added security features over previous versions of the operating system. Some users, however, are reluctant to upgrade citing worries about the strain the software may put on hardware, and suggestions that Windows 10 tracks its users too closely. To date, around 300 million devices worldwide have upgraded to, or are using, Windows 10.